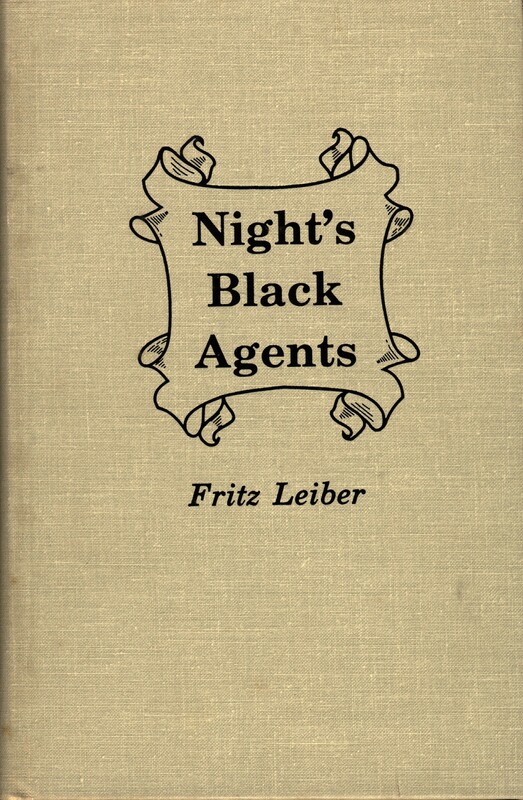 Night’s Black Agents was the first book Fritz Leiber had published, and was was released by Arkham House in 1947 (3084 copies). 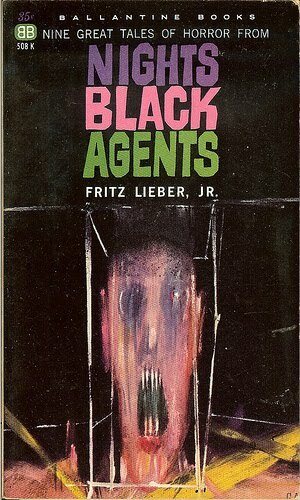 It collects together many of his stories that appeared in ‘ Weird Tales’ and ‘Unknown’. 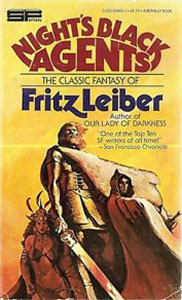 The ‘Ancient Adventures’, two Fafhrd and Mouser stories would later appear in Swords in the Mist. The book is dedicated to his first wife Jonquil (Stephens). 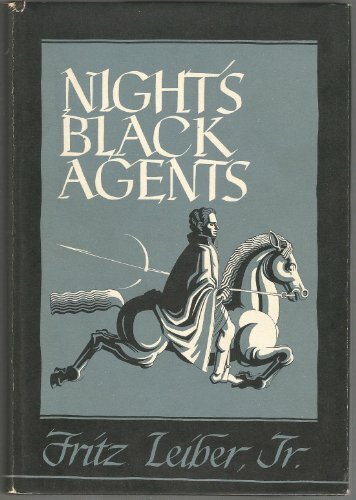 The Ballantine edition of Night’s Black Agents loses Adepts Gambit, whilst The Gregg press edition adds A Bit of the Dark World and The Girl With Hungry Eyes. 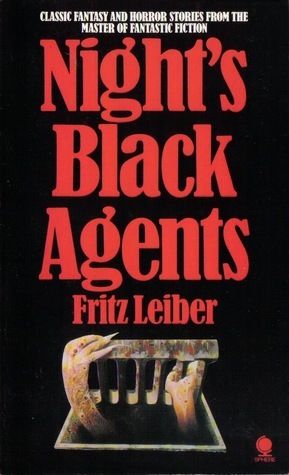 Notable Editions: Gregg Press HB, Neville Spearman HB, Aeonian Press HB (limited to 80 copies). 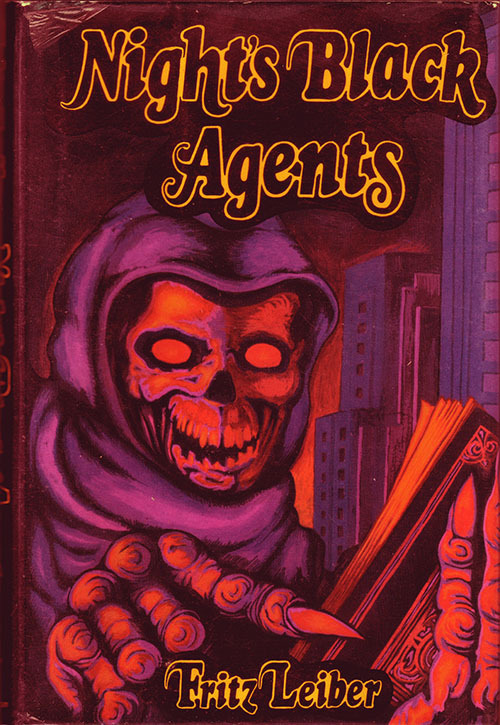 Leonard Barras – The Times 1974.